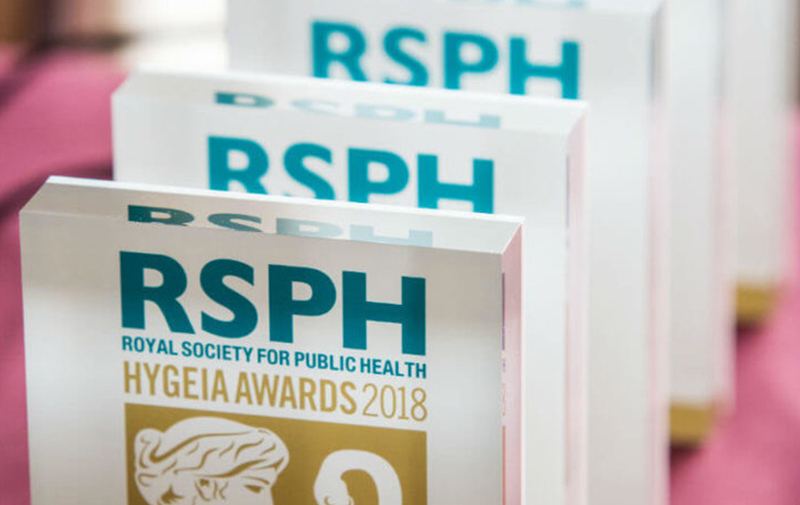 RSPH presented its first Hygeia Awards at an event in London. The awards were for outstanding achievement in a range of RSPH qualifications. RSPH has presented awards to the highest achievers in their qualifications for a number of years, but this was the first time that they have been named after Hygeia, the Greek goddess of health and wellbeing. Once again an award was made to the learner who achieved the highest score in the RSPH L2 Award in Pest Management qualification. The winner for this year was Patrick Poore, who works for Rokill and did his training with BPCA. RSPH also presented some awards for the first time. This included the Hygeia Centre of Excellence Award, given to the RSPH centre that showed commitment to their learners through high levels of teaching and support, alongside high pass rates. The inaugural winner of this award was Rentokil-Initial. One of their candidates won the pest management award last year and their candidates also took the runner-up and third place this year. The award was accepted on behalf of Rentokil-Initial by David Cross, Head of Rentokil’s Technical Training Academy. All of the awards were presented by the well-known broadcaster Natasha Kaplinsky, who recently became a vice-president of RSPH. All RSPH approved centres that deliver training for RSPH qualifications are entitled to display the RSPH logo on their website, advertising material and stationery. This includes a number of pest control companies and servicing companies for the industry. This is the only mechanism that enables companies to display the RSPH logo. Unfortunately, several pest control companies, whose staff are holders of an RSPH qualification, also display the logo on their website. RSPH respectfully requests that these companies remove the logo. RSPH understand that pest control companies are rightly proud that their staff have achieved the qualifications and they certainly have no objection to a company stating on their website that their staff hold the RSPH Level 2 Award in Pest Management. Holders of these qualifications can also apply for Associate Membership of RSPH which will entitle them to use the letters AMRSPH after their name. Those pest controllers who hold an appropriate qualification at level 3 or above can apply to become a full member of RSPH, which enables them to put MRSPH after their name. The higher level qualification does not have to be in pest control. For anyone interested in RSPH membership, full details of how to apply can be obtained from the membership section of the RSPH web-site www.rsph.org. Error: Error validating access token: Session has expired on Sunday, 17-Feb-19 03:23:39 PST. The current time is Thursday, 18-Apr-19 21:25:50 PDT.